The Elite Series Arch Post Swing stands at 8 feet high and is available in two standard colors: blue and green. The construction allows for years of maintenance free swinging. The top rail and upright posts are all pipe. 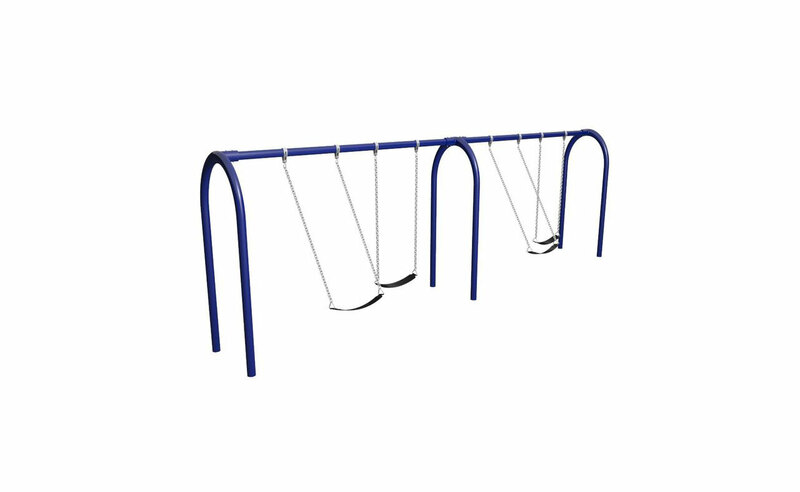 The swing comes with standard belt seats, connectors, galvanized chain, and unpainted steel hangers.The arch swing brings style to your playground and the Elite Series brings the price that everyone is looking for.